It felt like the first day of spring in Dublin last Friday (15 February) as light streamed through the large Georgian windows of the Irish Writers Centre (IWC) on Parnell Square for the eighth annual Novel Fair. The 12 aspiring novelists in the room, who were chosen from 200 applicants, raced against the clock to pitch their books to a selection of agents and publishers from the UK and Ireland. Described in a past year by the Irish Times as a "Dragon's Den for writers", the event could also be encapsulated as "literary speed dating". The format allows each author 15 minutes with which to dazzle an agent or publisher, and hope that the industry insider is intrigued enough to ask for more, before a bell is rung by one of the organisers and it's time to move on, ever hopeful. This year's winners were Neil Sharpson, Sue Divin, Alice Lyons, Jim Lawlor, Dee Collins, Marianne Lee, Catherine Browne, James A Simpson, Grainne Murphy, Ronnie Trouton, Michelle Gallen and Jennifer Wilson O'Raghallaigh. They hailed from around the island of Ireland, and their winning manuscripts included literary fiction, science fiction, crime, comedy, historical fiction, young adult romance and a gothic thriller. The authors came to the fair well-prepped in the art of pitching - the IWC had provided a workshop ahead of the event, run by former Novel Fair finalist Kevin Curran. They were armed with printed material, just in case - though if agents and publishers wanted to see more, they tended to request it by email. They met Ger Nichol of the Book Bureau, Kate Burke of Blake Friedmann, Epoque Press, the Feldstein Agency, Laura Williams of Greene & Heaton, HarperCollins Ireland, John Murray, Lilliput Press, Faith O'Grady of the Lisa Richards Agency, Marianne Gunn O'Connor, Sallyanne Sweeney of Mulcahy Associates, New Island Books, Penguin Ireland, Kerry Glencorse of Susanna Lea Associates, and Transworld/Doubleday Ireland. The 2019 judging panel was writer and 2018 Irish PEN recipient Catherine Dunne, writer and former Hennessy award editor Anthony Glavin, and journalist and children's fiction author Anna Carey. As well as selecting the 12 finalists, they produced comprehensive critiques for the next 12 highly commended entrants. Aoife K Walsh, newly appointed commissioning editor at Irish indie New Island, said that she was looking to shape her list for 2020 and was interested in work that "speaks to what is happening now and into the future" - that meant, she said, fewer traditional Irish protagonists and themes, "because in Ireland we are on the cusp of massive change in terms of demographics". 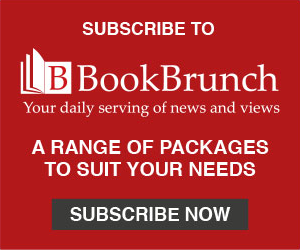 Eoin McHugh, publishing director at HarperCollins in Ireland, said that would love to find a "great literary novel", and that a couple of pitches had caught his interest, leaving him keen to read further. Laura Williams from Greene & Heaton mentioned that she had been pitched a "very interesting" YA book about growing up in contemporary Derry, set in the summer of 2016 under the shadow of the Brexit vote. Aspiring author Sue Divin (left), a peace worker from Derry, was the writer Williams mentioned. Divin was also selected for the Irish Writers Centre X-Borders project, along with fellow 2019 Novel Fair finalist and Derry resident James A Simpson. The project is part of the IWC's Northern Irish programme, aiming "to bring together writers from North and South Ireland to workshop on the theme of borders in both a national and international context". Divin's novel, Guard Your Heart, is pitched as a "Romeo and Juliet YA crossover set in Derry". The story grew from Divin's desire to explore the legacy of the Troubles, asking, "What's it like for young people today?" She was a shortlistee in the 2019 Caledonia Novel Award for the same manuscript. The Caledonia judge, agent Victoria Hobbs of AM Heath, described Guard Your Heart as "a very charming love story, one I am delighted to have read". Notable successes of previous Novel Fairs include Caitriona Lally, who won the Rooney Prize in 2018 for Eggshells, originally published by Irish indie Liberties Press and later by HarperCollins' the Borough Press; and Andrea Carter, whose series of Donegal-set crime novels is published by Constable (Little, Brown) and is being adapted for television.